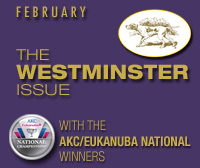 AKC/Westminster …the lines blur for most people. And that’s understandable in many respects. But when you look at the actual history of purebred dog recognition in America, Westminster owned this territory first. According to legend, the motivation to form the American Kennel Club was prompted by the celebrated 1876 show in Philadelphia. Like every dog loving American, attendance was mandatory for Westminster’s members. They were a diverse lot bound together by their shared love of Sporting dogs. That experience provided another common bond. They were unanimously appalled by the amateur-ish management of the show. 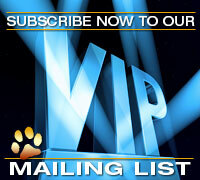 You want a dog show? You’re gonna get a dog show for the record books. So the kick-off event in 1877 set a precedent, defying all expectations. Needless to say, getting to the top is nothing compared to staying there. Westminster has weathered many storms but after 142 success stories it remains the glue keeping this purebred stickynote on everybody’s fridge. And judging by last Wednesday’s press conference, they have this well in hand. This year’s numbers parsed out to 2,916 entries representing 203 breeds, 102 junior qualifiers and 14 obedience teams. It’s the ideal counterpoint to the mind-blowing entry in Florida that rounded out 2018. More pertinently, it dramatically confirms that, despite alarmist predictions to the contrary, tremendous interest in this sport is alive and kicking. The real mystery is this binge mentality demonstrated by the gargantuan turnouts for major events in contrast to the lackluster support for local shows week-in, week-out. Westminster press conferences are invariably well orchestrated and dressed to impress. But this year was a slam-dunk. In case anyone hasn’t visited Top Of The Rock, add it to the list since you’re all gonna be here in a couple weeks. The elevator ride alone is worth the trip. Trust me, it’s that fabulous. But dog people have bigger agendas. Westminster marshaled its media special forces; they were armed with every factoid and bullet point for this crowd. 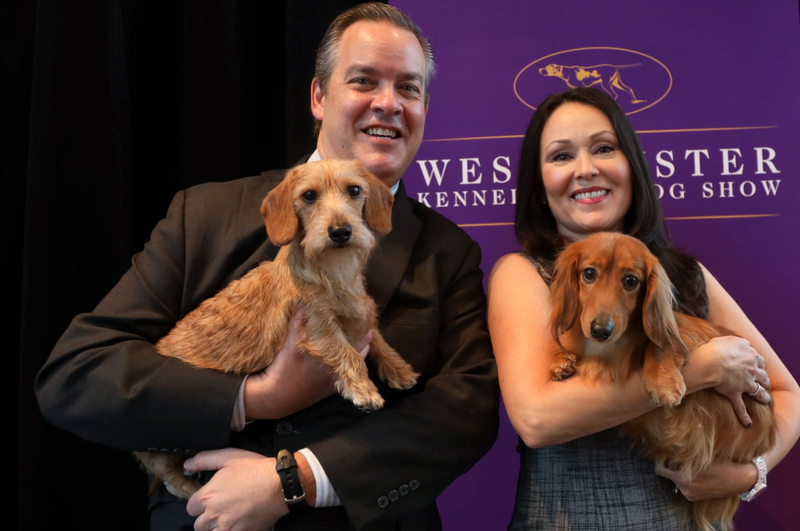 The centerpiece topic was 2019s top entry breed of 76 Dachshunds, which invited a showcase of three varieties and three sub-varieties under that banner. Five showed up, but we won’t talk about that. Who doesn’t love Dachshunds? Photographers from major and murky media outlets vied three deep for that sweet spot. Those Dachshunds were styling and profiling and that crowd was crying for more. The next big visual was a personal visit with AKC’s newest additions, which will be represented by seven Nederlandse Kooikerhondjes and eight Grand Bassett Griffon Vendeéns. The other big story, and quite possibly Westminster’s biggest news of the decade, was a stage-managed run through of the sixth Masters Agility Championship. This year’s turnout of 330 teams competes on Saturday, Feb. 9. Four Agility stars were on hand doing PR, two “All American” mixed breeds, including the legendary Dobby, along with a Welsh Corgi and a Chinese Crested. They were great. Those hardened cynics of NYC journalism were melting in their acrobatic paws along with a sizable number of Rockefeller Center staff members taking some very long coffee breaks that morning. In terms of media saturation, the job got done. For instance, two days later, it was still topping the AOL newsfeed. But the really interesting aspect was the undisguised adoration of everyday bystanders that happened upon the event. There’s no question that America’s love for purebreds is going strong. Now, if we could just put a little more effort into the grassroots tier to WELCOME and ENCOURGE dog loving novices, we’ll be back to hunting for grooming space at Monday shows. Posted by Tom on Jan 29 2019. Filed under Breaking News, Featured. You can follow any responses to this entry through the RSS 2.0. Both comments and pings are currently closed.